Caravan ended their UK Autumn Tour at Canterbury Festival last night which was a brilliant show and a true re-welcoming for the band in their home town. The UK Tour has been a great success with the band playing to sell out crowds all over the country. The Concert Live 3-disc release captures these gigs perfectly and the sound quality is excellent. And if you weren’t lucky enough to be able to attend the gig then this exclusive 3-disc set perfectly captures the atmosphere of the night and will allow you to enjoy all the highlights of the gig from your living room. The band wish to give their many thanks for everyone who attended the gigs this year and they promise to ‘do it all over again all over you’ in the new year. Keep your eyes and ears close for new tour dates new releases and interesting Caravan news coming your way soon. 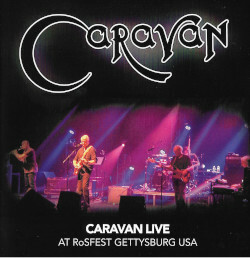 This entry was posted in CD, Gigs, Reviews and tagged 2011, Canterbury on October 18, 2011 by caravan. Wonderful night in Canterbury to celebrate the triumphant end of the Tour in the boys’ spritual home. 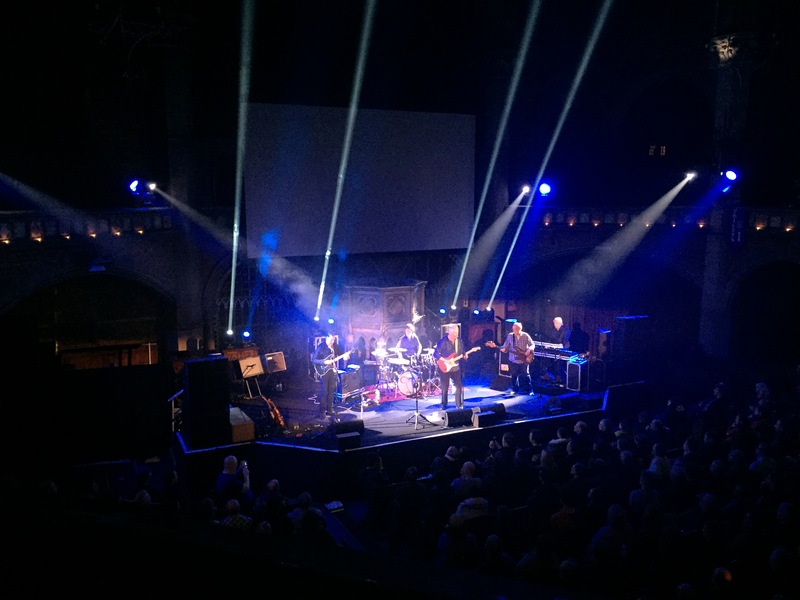 The cathedral setting was magical and the atmosphere relaxed as we enjoyed the brilliant set. A privilege to be there. Thankyou for another marvellous year and a tribute to Martin for all his tireless and dedicated work. What a brilliant in Canterbury.The whole set was great especially THE DOG THE DOG and NINE FEET UNDERGROUND two of two personal favourites. It all went to prove that a thing well crafted can stand the test of time (The music and the boys). What a fantastic homecoming gig such a great set from Canterbury’s finest well worth travelling down from Nottingham for. The band were on top form as were some of the audience great spoons and washboard duet from Geoff and Mark (who’s filled the drum department astoundingly well) please come to Nottingham in 2012 on this form I’m sure they’d sell out Rock City with ease…. Great to see the band on home turf again and on top form. I also saw the gig at Milton Keynes both as good as each other. The album “grey and pink” is easily my fav album of all time so it was great hear the tracks from it. But the whole set went down so well. I enjoyed both gigs equally but there was something about being at “home” in Canterbury that made this one special. Cheers lads.